Complete factory specifications; High quality hammer drive patent plate screw to suit most Triumph, BSA and Norton models. Approx. 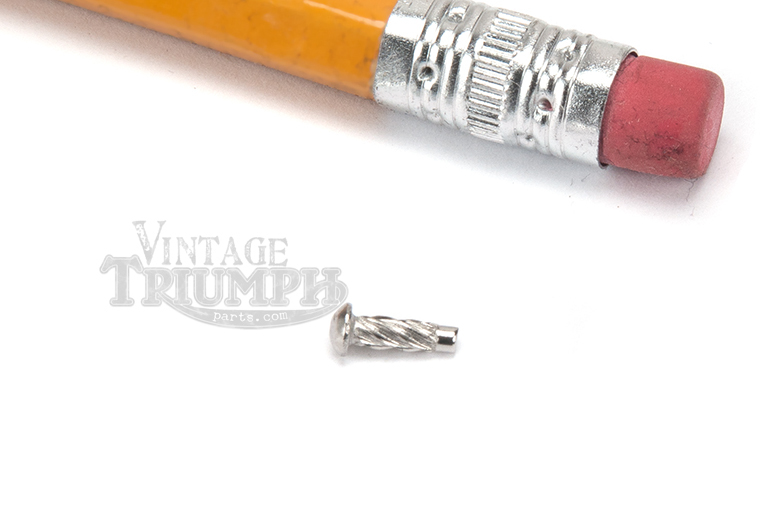 measurements: 6mm long, 3mm wide (head/rivet), 1.89mm drive screw diameter (thread).